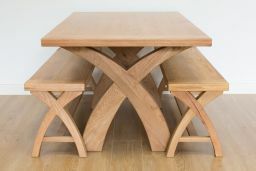 Country Oak 140cm cross leg table and bench set. 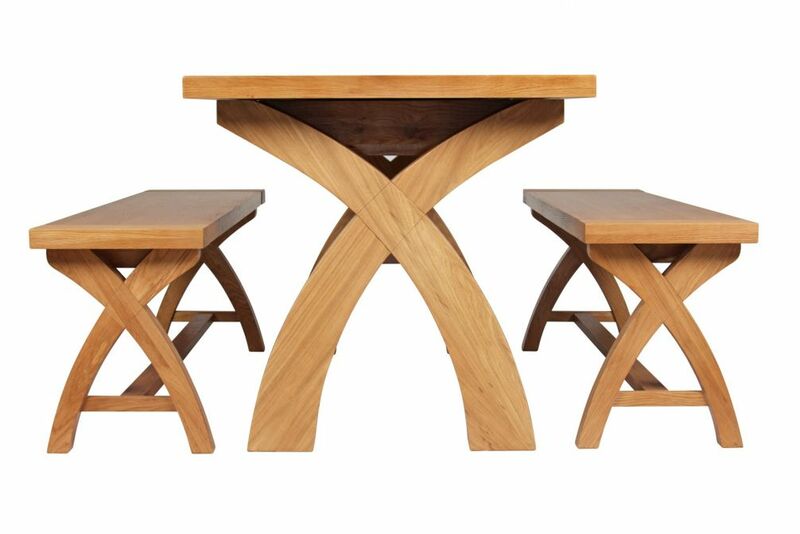 This chunky table & bench set comes with a 40mm thick table top and excellent value as you get plenty of oak for your money with this stunning design which is built to last. 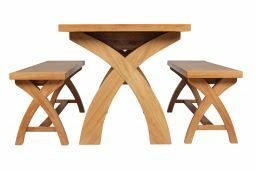 Manufactured from sustainable American oak with a hard wearing oiled wax finish, which brings out the natural beauty of the American oak. 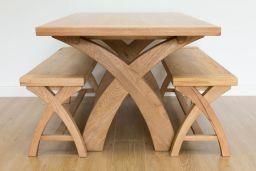 Mix and match any of our tables, benches & chairs to make your own bench set. 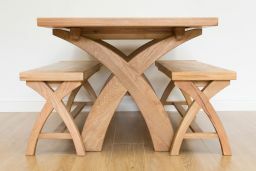 This table is beautiful and looks lovely in our conservatory. It was simple to put together and the quality is amazing. Table and benches are great and we are on the whole happy with our purchase. Our only issue was the finished colour was not what we expected from the photos on the website. They were so orange our first thought was it resembled pine and not the more natural oak that they appeared to be on the website. 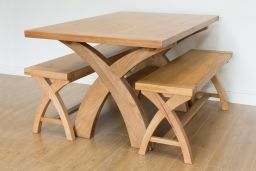 Lovely table and benches, looks great. Quality is nice. Building up is relatively easy, though the cross piece for the benches had rusty ends and each end one is impossible to nip up but apart from that not bad. I constructed them myself and alone. Delivery was earlier than expected and despite asking for a call 30mins before arrival this did not occur. It was a bright sunny day so they just left them round the back. But why oh why in front of the French doors so I could not open them!!!! Had to construct the benches outside then manovered the table boxes inside. Very well constructed and on a par in terms of quality with more expensive alternatives.